Wisconsin Historical Markers: Stevens Point Historic Mural "Stevens Point's Most Influential Events"
Stevens Point Historic Mural "Stevens Point's Most Influential Events"
The murals are located inside a walkway adjacent to the east side of the Portage County Library. The library address is 1001 Main Street, Stevens Point, Wisconsin 54481. 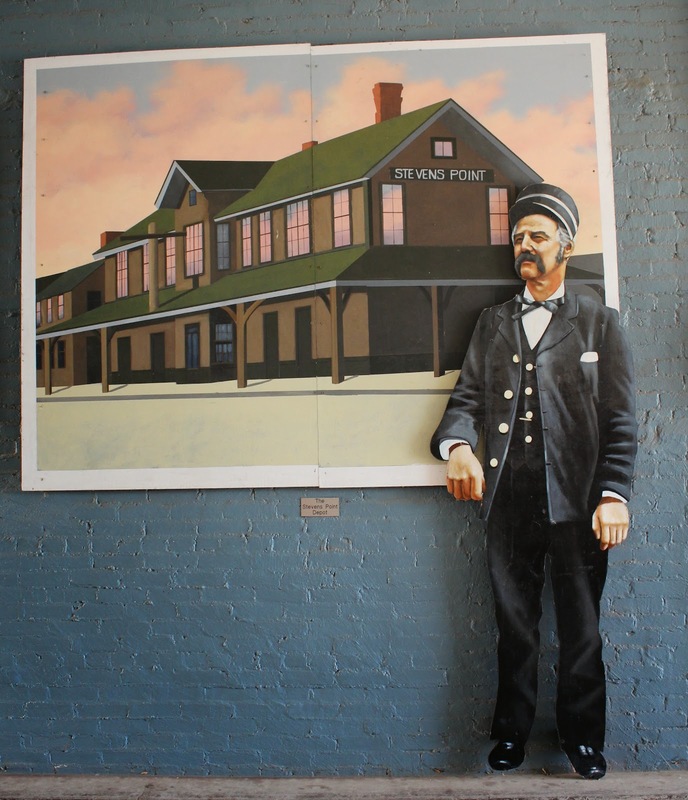 This series of mini-murals is the 8th installment in the Stevens Point "Windows to the Past" murals project. 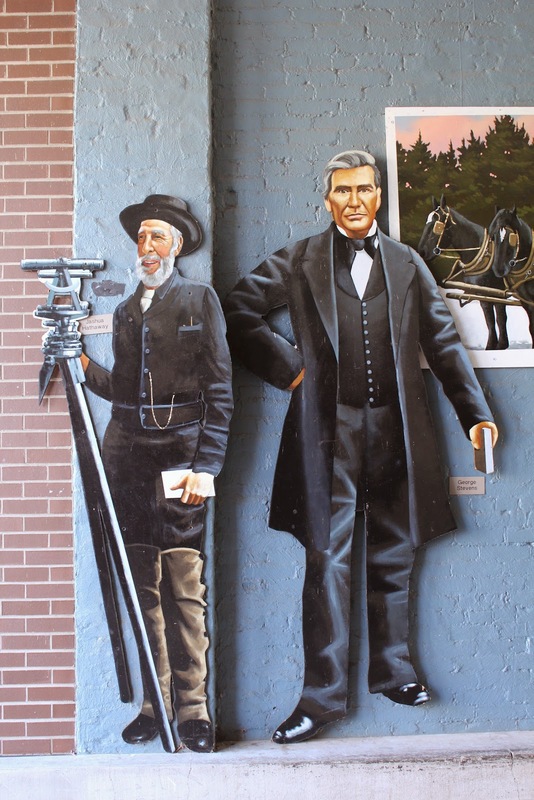 The murals depict the first 150 years of Stevens Point's history, beginning with surveyor Jashua Hathaway and founding father George Stevens, and ending with the Hardware Mutual Insurance building and its founder. 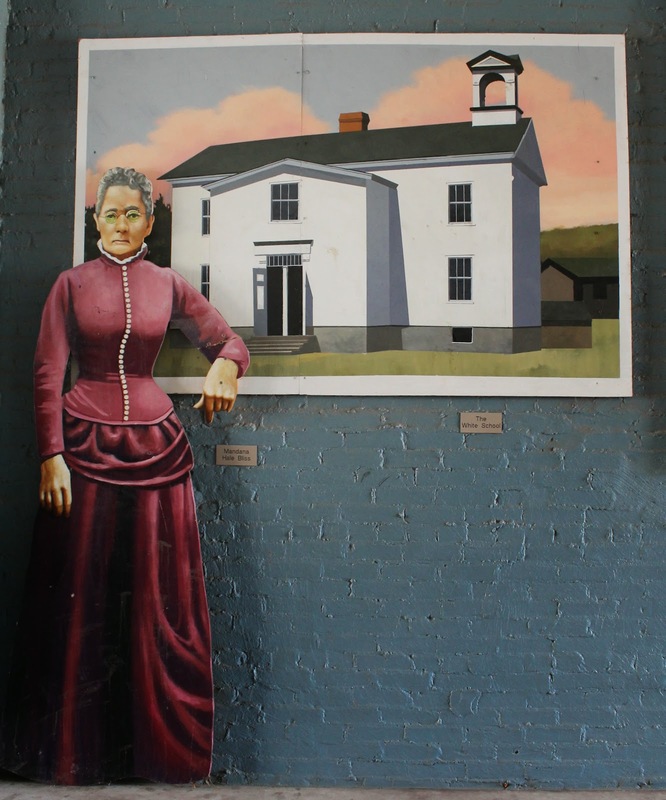 Downtown Mural: "Stevens Point's Most Influential Events"
now home to Sentry Insurance. 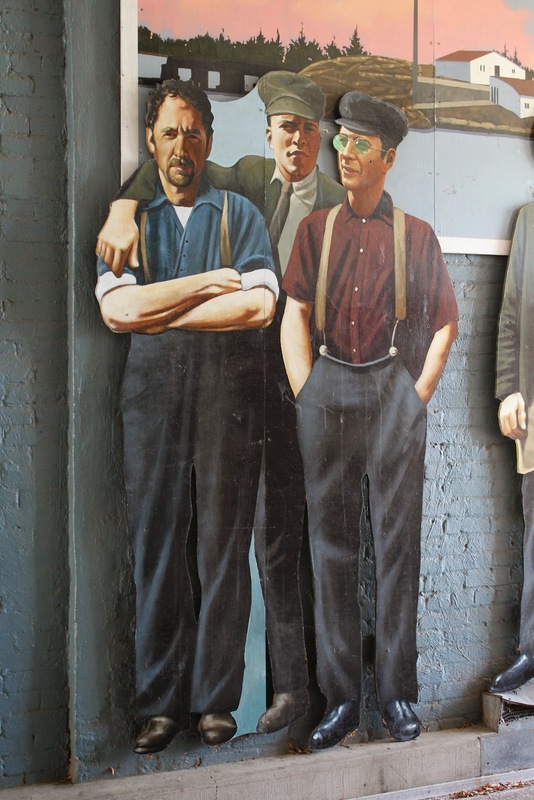 Some of the workers at the first paper mill in Stevens Point, built in 1918. Polish immigrant girl, with her teacher, Mandana Hale Bliss. started in 1857 by George Ruder and Frank Wahle. when it was known as "The Gateway to the Pineries". 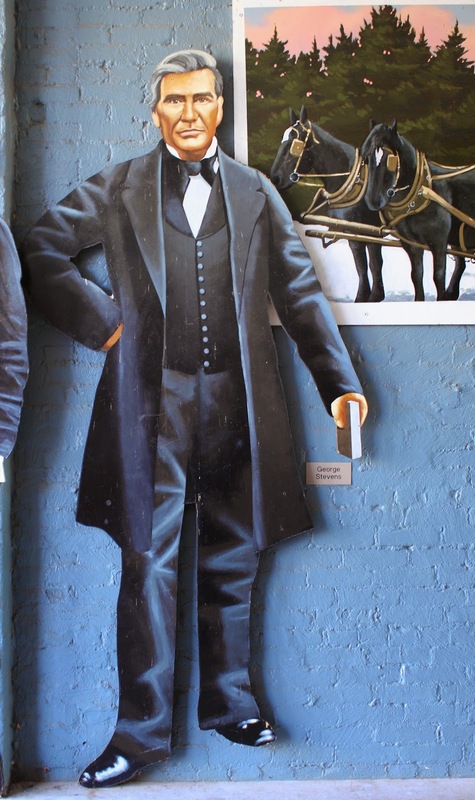 George Stevens, Stevens Point's namesake. the area around the Wisconsin River. a log shack to store supplies for his logging / sawmilling business up river. The Main Street entrance to the walkway. where the walkway housing the murals is located.